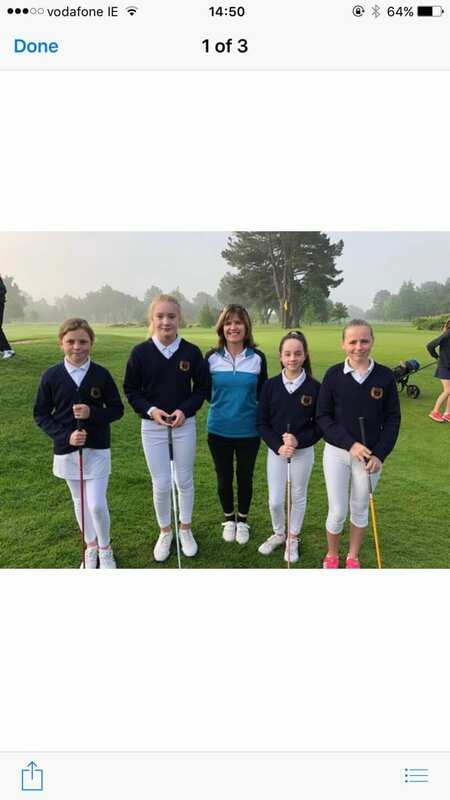 Congratulations to the St Pius girls Louise, Sophie, Aisling and Harriet who were runners up in the annual golf classic in the Castle Golf Club on May 28th. The girls had an early start on the morning (7.15am) but the sun shone all day, making for perfect golf weather. Well done girls!